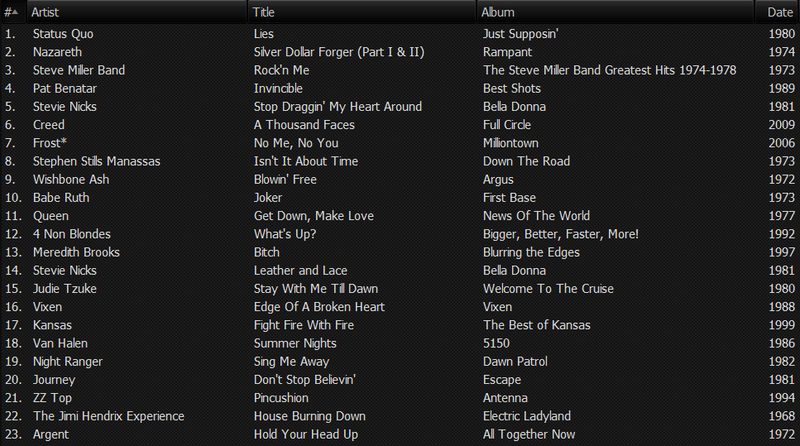 Here’s the Playlist from last nights show. Once again, thank you for tuning in last night. All the tracks this week were chosen by me – a bit of a rarity these days thanks to the popularity of the ‘request-line’ which normally opens on a Sunday. Due to the festivities we chose not to run one this week. Quite a mix of music which, by all accounts, went down well with all of you. See you all again in the New Year. ← Hope you all had a good’un this Christmas! But what to do with all those leftovers?